Do you have Phonecards that you'd like to sell or send to a good home? If you do I'd be very keen for you to contact me. 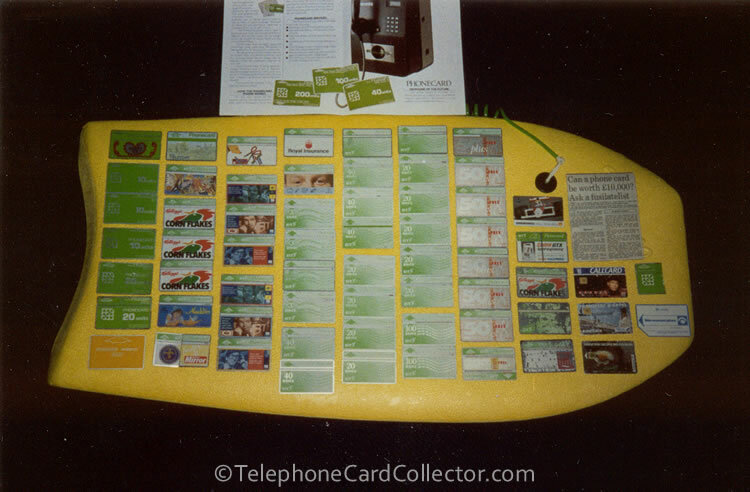 I'm interested mainly in UK telephone cards, especially early/optical British Telecom (BT) Landis & Gyr (L&G) Phonecards as well as the later BT Phonecards featuring a chip. I've also got a small but growing Mercurycard, New World Payphones and Paytelco collection that I'm keen to add too. Are you a ex BT or telecoms employee? Maybe you have some special items that I'd value. Please scroll down BT Phonecard story and history section on this page. 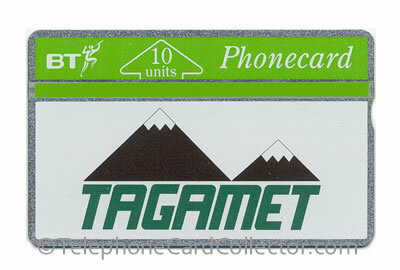 As for other countries telephone cards from around the world, I still say I'm not actively collecting these as such. But thanks to people contacting me via my website, I do now have cards from almost every country in the world! 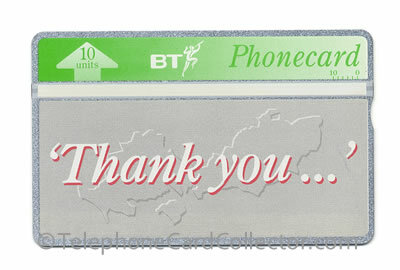 So a BIG thank you to those that have sent me overseas telephone cards. A little about me... I started collecting optical BT Phonecards some 20 years ago, aged 13 or 14, I stopped collecting in 1997 and then after joining eBay in the summer of 2012 I started collecting again. Since then my collection has substantially grown (with some truly amazing cards, that I could only dream of getting the first time around), though I still have LOTS of missing cards that I'd like to add to my collection. Can you help? If you've got some phone cards that you'd like to sell or give away, it's best if you can take a photo(s) of the cards, trying to describe the cards isn't always easy! Once you've taken the photos you can send them to me either via my email address or my Facebook page, the details of which are both on my contact page. This will allow me to see which cards you have, their condition i.e. mint or used, and whether they'd make a great addition to my collection. Pictured above - An example of some phone cards that I purchased. The seller took photos of the cards in the collection that he wanted to sell, sent the photo to me. I then highlighted with green dots the ones I wanted to buy. If you have Phonecards that I'd like to buy, I can pay you via cheque, in person (if your not too far away from Peterborough, Cambridgeshire), via BACS or PayPal and unlike on eBay you won't have to pay the 10% sellers fee! I've been buying from people both on and off eBay for sometime now, please see my testimonials for their feedback. Lots of people of have been getting in touch and sending me details of the phone cards that they have. Thanks ever so much, it's much appreciated - my collection is steadily growing. In July, I started compiling a list of everyone that's helped me with my collection, be it via eBay or from contacting me via this website, see my thank you page. Thank you all, it is greatly appreciated. 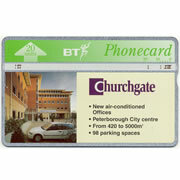 As well as collecting Phonecards I'm also very keen on BT Phonecard related items, e.g. reports, photos, manuals, even Cardphone payphones. I think here I'm calling all ex BT or Landis & Gyr employees who may have some "bits" in the loft, in a cupboard or in a garage?! So far I've managed to acquire an The Cardphone Trial Report 1982, a Phonecard briefcase, a deck of playing cards (both used for marketing the Phonecard launch), several Phonecard green disposal bins and mountings, Phonecard glass for the top of different telephone boxes including the K8, several cardphone payphones - both early optical and later chip style and most recently a BT Phonecard dispenser. 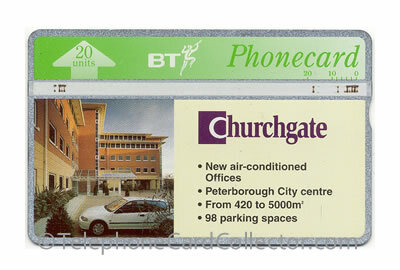 I'd now like to get my hands on a Payphone 2000 with optical Phonecard reader and instruction manuals for the different BT cardphones. Plus I'm looking for literature in the form of leaflets, reports and photographs which I can edit and share on this website. If you think you can help, please see my contact me page for my e-mail address or if you're on Facebook contact me via my Facebook page.